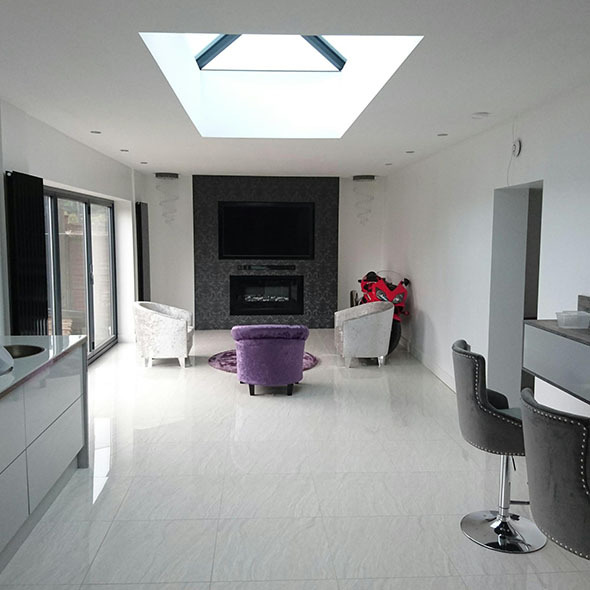 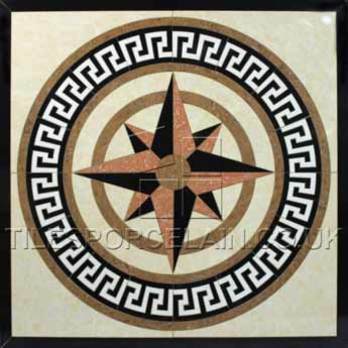 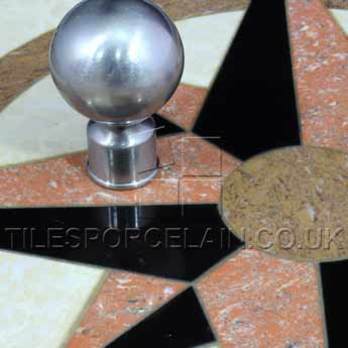 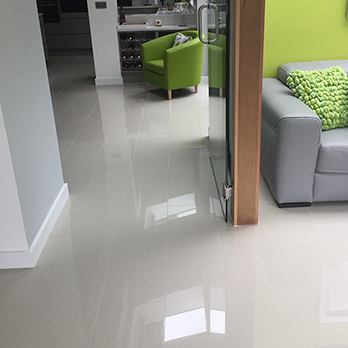 This decorative porcelain feature tile will really help to transform a standard floor design. 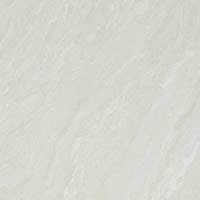 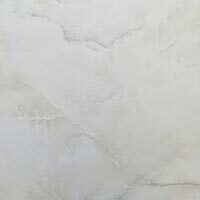 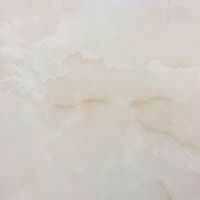 The cream, marble effect backdrop provides a neutral style. 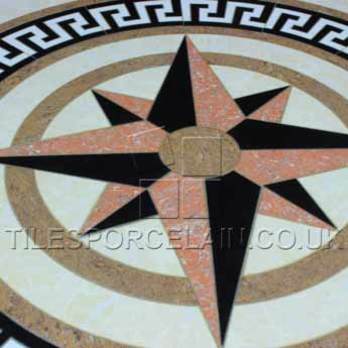 The foreground pattern features a compass design and Greek Key surround, comprising of black, ivory and salmon pink colours.